Car manufacturers are known to take anywhere between five and seven years to change fundamental aspects of their vehicles aesthetically, however, technology is developing and changing at a much more rapid rate nowadays. Major technological changes in the car industry are hitting the production lines faster than they ever have before, and this is only the beginning. Though the appearance and design of automobiles are sure to change over the coming years, the majority of innovations in the automobile industry are going to come from the software side; as much as 80-90% of future development will be software based according to some experts in the field. So, what kind of changes can we expect from the auto industry? The Internet of Things (IoT) or in simpler terms, everything is connected to everything else, is undoubtedly going to be a key player in the future of the automobile industry. We already see this today, with some insurance companies switching to Usage Based Insurance quotes, where factors such as how often the car is used, where and how far it is driven and how it is driven can determine the cost of consumer’s premiums. IoT is also likely to play a pivotal role in the user experience when it comes to integrating with your smartphones and watches as voice recognition develops further. It’s no question that Artificial Intelligence (AI) has sent shockwaves through many industries in the last few years, and the auto industry is certainly no exception. It’s likely to remain a key player in the coming years when car manufacturers test the boundaries of technological advancement. AI will mainly be seen in software that improves the overall user experience, and as the technology progresses, drivers will receive more personalized service when in their vehicles. Preferred applications, as well as entertainment, will be stored by the vehicle to provide a better driving experience for drivers thanks to the Internet of Things slowly interconnecting all of our devices. But we could see AI play a pivotal role in the safety of passengers too. Technologies such as V2V (vehicle to vehicle) are relatively new. However, major manufacturers such as Ford are eager to get this on the market within the next couple of years, already pouring a wealth of research into it. 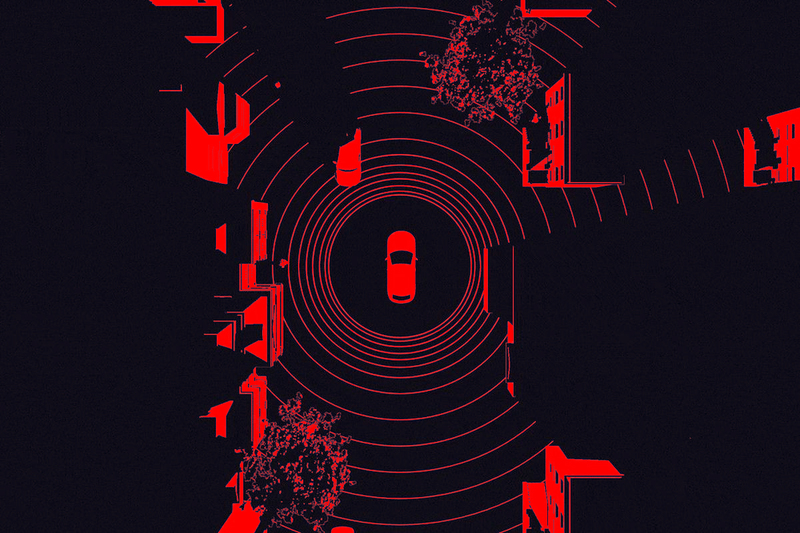 Put simply, cars will be able to send data to each other through wireless networks, so, if a driver were to run a stop sign or be going too quickly in a certain zone or at a junction, this information would be transferred to other vehicles in the vicinity at which point the technology would kick in to slow down the other cars to avoid collisions. Such innovations would likely result in a huge decrease in car accidents, meaning less insurance claims and better rates offered to drivers. It also allows for human error to be minimized, as the cars will have this information transmitted even before a human can see or assess the situation, meaning a much safer environment on the roads. Cars of the future are also likely to have health monitoring devices, which can help prevent accidents and could be rolled out commercially as early as 2025. Heart rate monitoring as well as technologies designed to monitor distracted driving and fatigue will be at the forefront of this technological development. Of course, such technologies are linked to the concept of IoT and devices such as fitness trackers and other health apps, wirelessly integrating with your car’s software. Though we could still be a long way from having fully autonomous vehicles on the road, newer cars are already adopting this technology year on year. If you drive a newer model of car, you’ll be familiar with features such as automatic braking sensors, which kick in when in close proximity to the car in front. Mapping technology is also becoming more and more apparent and is helping drivers to alleviate the issue of the ‘blind spot’ by displaying warnings or lights when a vehicle is in that area. Parking cameras and sensors are also becoming more commonplace. Some vehicles are now even equipped with self-parking capabilities. Driverless vehicles are now popping up in some major cities on rideshare apps like Uber and Lyft, creating a new era of Mobility as a Service (MaaS). As we head into the future, MaaS will only increase in popularity as it provides people with an alternative to actually owning a car, especially for those who don’t drive often enough to justify the cost of having their own vehicle. Certain demographics are expected to benefit and utilize this more than others – millennials for example. Self-driving technology also provides increased mobility for those who don’t currently have a driver’s license. Some cities still don’t have a great public transit network, but, with a click of a button from an app on their phone, commuters could have a car with them in as little as a couple of minutes. This eliminates the need for households to have multiple, or even any cars at all. With the introduction of MaaS, KPMG have predicted drops in sedan sales by as much as 50% by 2030. In the next 20 years, we can also expect to wave goodbye to the standard combustible engine that traditional cars have had since they were first developed. Electric vehicles will become increasingly popular due to their environmental sustainability—and eventually—their undeniable practicality. Right now, due to fairly low demand, the cost to manufacture such vehicles has remained relatively high, but, with countries like the UK and France pledging to switch to all electric vehicles no later than 2040, going as far as making traditional petrol and diesel cars illegal, we can expect to see such cars become more popular over the next two decades. In conclusion, software will change the automotive industry in a variety of ways, from AI and V2V to everything in between—not to mention ways we may not have foreseen yet.